Surprise - Trust for Today is shipping TODAY if you order it through our store! 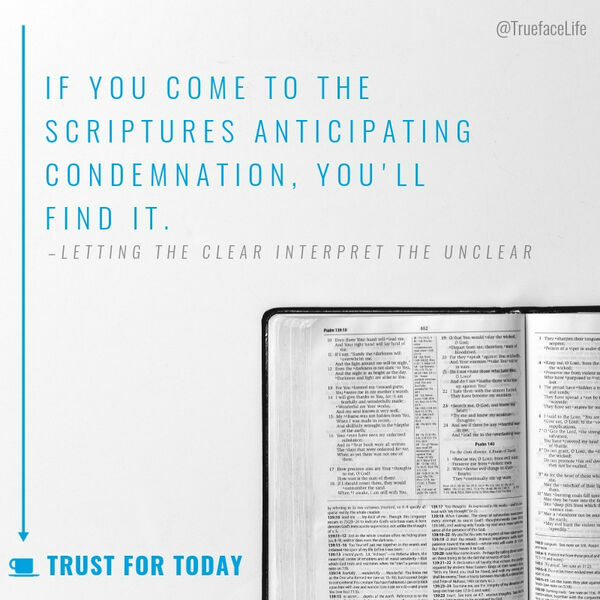 In this week's podcast, we discuss the devotional "Letting the Clear Interpret the Unclear" and the difficulties of reading scripture and processing forgiveness. Download the full devotional at trueface.org/trust-for-today.